Call or write us for specific details and current pricing for any of the services that we offer. Western Alaska is filled with Brown Bears. Literally thousands live here. It is common to see them daily as we travel between field destinations. A real thrill is to safely watch them up close and personal. 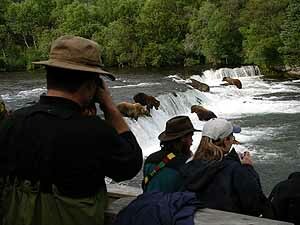 The Katmai National Park is one place they are very approachable. 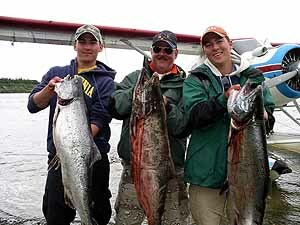 A salmon fishing excursion is an essential part of an Alaskan vacation. 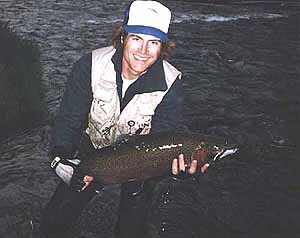 Every summer, from early June through late September, five species of Pacific Salmon migrate from the nearby ocean into the area rivers and streams in order to spawn and fulfill their life cycle. The Bristol Bay/Iliamna watersheds are teaming with resident populations of Rainbow Trout, Arctic Char, Arctic Grayling, Northern Pike, Lake Trout and Dolly Varden. These fish are available during the entire season, with certain times being stronger. 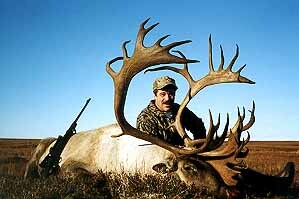 Since 1984, we have been providing transportation for drop camp, unguided caribou and moose hunters. Nonresident U.S. citizens are eligible to hunt for caribou, moose, black bear, wolf, wolverine and deer without hiring a big game guide. We offer hunting transportation services the month of September only.